There’s probably a witty way to dive into this review, but I’ll be honest—there’s too much context needed to explain why you’re going to be flirting with holograms. 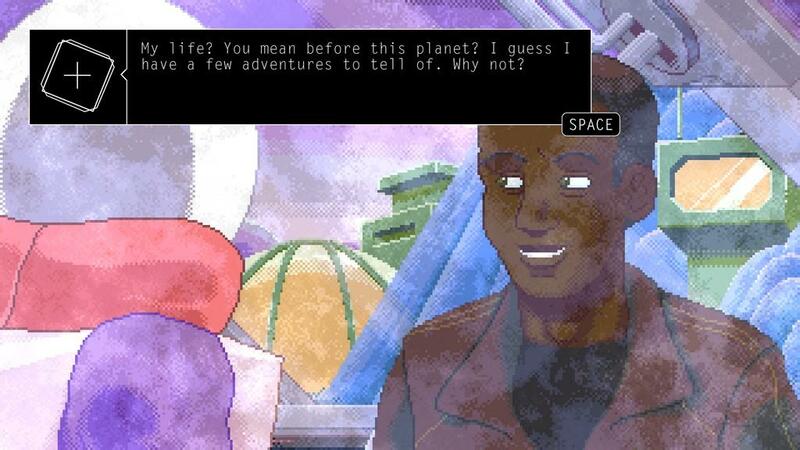 Of course, that’s not a surprise; Benjamin Rivers Inc.’s Alone With You is a very narrative-heavy game, so it only makes sense that there would be a metric ton of background story to explain how you get where you do. 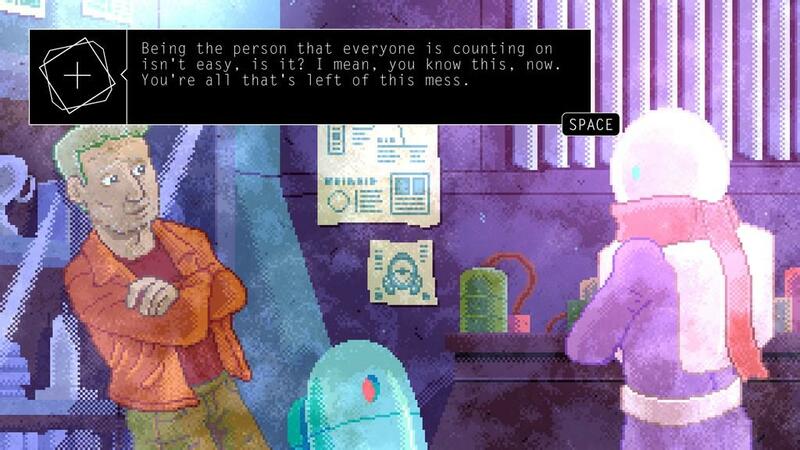 Being a big fan of story games, I can say with authority that if you want to enjoy an intricate narrative while simultaneously having your heart ripped out and stomped into the dust by some pixels, then Alone With You is definitely worth checking out. Yeah. I cried. Sue me. If you’re wondering what on earth I mean by flirting with holograms, let me explain just a fraction of this game’s story. You play as the last survivor of a horrifically failed settlement on another planet. We don’t know much about what happened to Earth—only that people still live on it. A cataclysmic event referred to only as the Rift Event (which the humans’ terraforming operations may or may not have catalyzed) has dramatically worsened the condition of the planet, meaning that you have to escape to survive. Problem is, you don’t have any of the skills required to ensure safe passage. So you’re pretty much dead, right? Wrong. Your best-friend-by-default, an AI that sometimes seems a little more human than normal, does the only logical thing to do in this scenario and programs holographic recreations of four experts that were part of the terraforming operation before the Rift Event. Thing is, these aren’t just holograms; they are computerized recreations of the people themselves, which means they possess the personality and memories (up to a point) of the actual people themselves: Winnie, Leslie, Jean, and Pierre. In all but flesh and blood, they are functioning human beings with the knowledge—and yes, emotions—you need to survive. So, yes. That’s how you can fall in love with holograms. 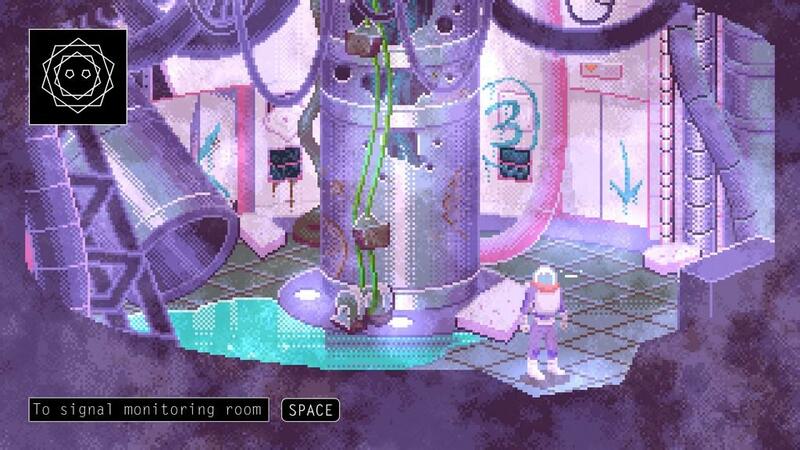 The character you play can be given whatever name you choose, but that’s the extent of the customization available to you; they are completely androgynous, clad in an all-covering spacesuit for the entirety of the game. Honestly, though, it works. It doesn’t matter what gender you are or what you look like; all that matters is that you’re there on that collapsing planet. If anything, extensive customization would detract from the weight of the story—because if you’re anything like me, every time you see your customized character in a cutscene you usually spend half the scene looking at them and feeling pleased with your creation skills. It’s a slow narrative at first, and at times repetitive. For the first four days, you go to a place, discover the beginnings of some things that might help you, report to the corresponding hologram that night, and then go to bed. On the fifth night, you get what the AI calls a recreational meeting with one of the holograms (so, basically bonding time with whoever you choose). Then the cycle begins anew, and repeats twice more—but each time it repeats, the stakes rise. You get closer and closer to the day of what is essentially the ultimate cataclysm. This brings me to my main criticism of the game. Sometimes, it feels like I’m stuck in a loop; it’s fairly easy to predict what’s coming next once you get used to the cycle. 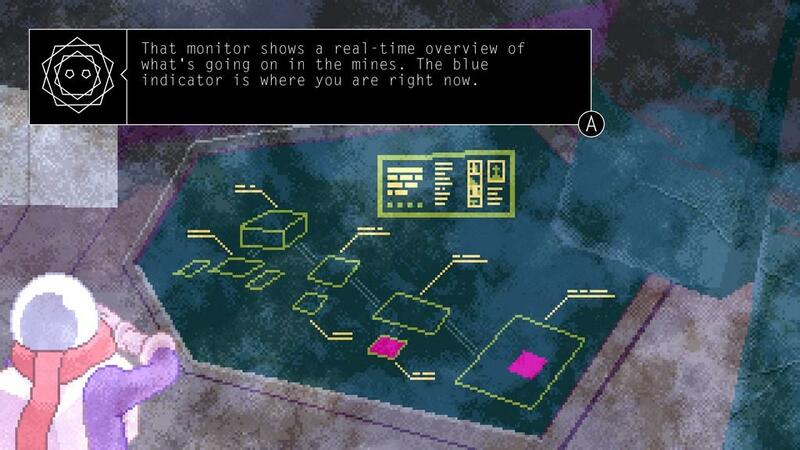 There are four holograms, each with their corresponding area on the map. Each day you visit one area, and each night you speak to the appropriate hologram. Cue fifth night, cue new cycle, etc. Like I said, it gets a little different with every cycle since the stakes are raised, but it’s still largely the same theme. A few times, I realized that the thought of that fifth night was what kept me going. The conversations and narrative are dynamic, immersive, and wonderful, but at times it doesn’t feel like the gameplay quite measures up to that. On that note, I feel like the gameplay had a great deal of potential. Of course, it absolutely shines from a narrative point of view. I’m always a sucker for good stories, especially when I get to experience them by walking through it myself instead of reading it on a page. 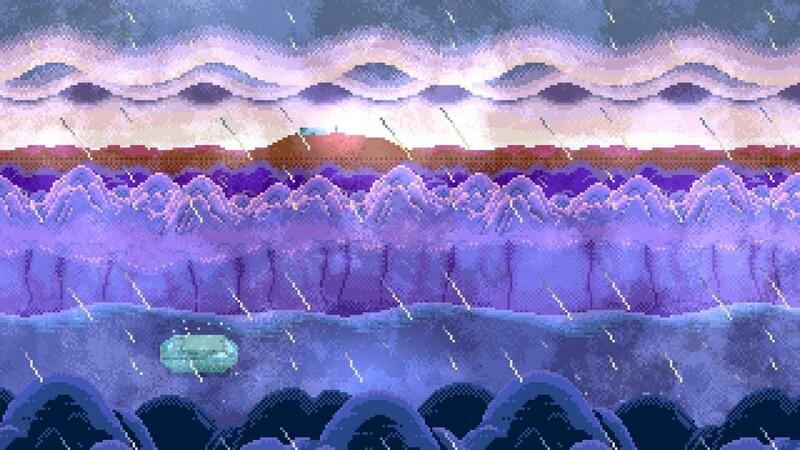 However, there were a few mechanics that I feel like the game could have further explored, and it would have made for an overall more engaging experience. 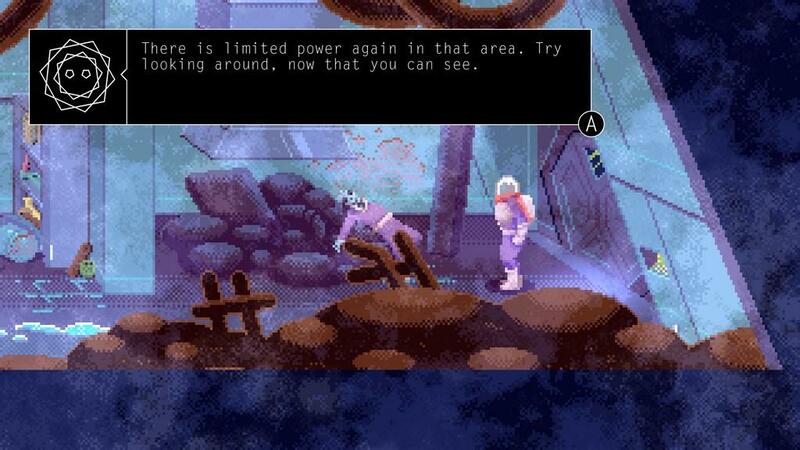 Most of it is just exploring and finding stuff until the AI says you’re done—though the “stuff” you can find ranges anywhere from innocent notes between coworkers to ominous remains, which is pretty cool—and while it dips into puzzle mechanics here and there, it’s largely exploration. Sometimes, the puzzle solutions don’t make much narrative sense, but even so I wished there were more of them in the game as I was playing. 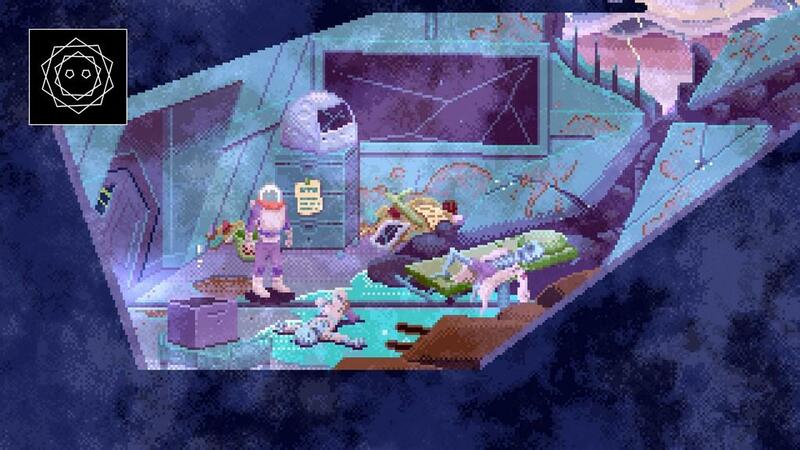 Perhaps the oddest scenario you’ll encounter in this game revolves around the holograms. Everyone knows that they’re dead; you know, they know, the AI knows. After all, you’re the sole survivor. Thing is, they want closure—a perfectly reasonable desire, but it gets a little bit weird when the dead person is standing right in front of you asking for you to figure out what happened to them. If your emotions are as easily manipulated as mine, it gets a lot worse when you actually find out. 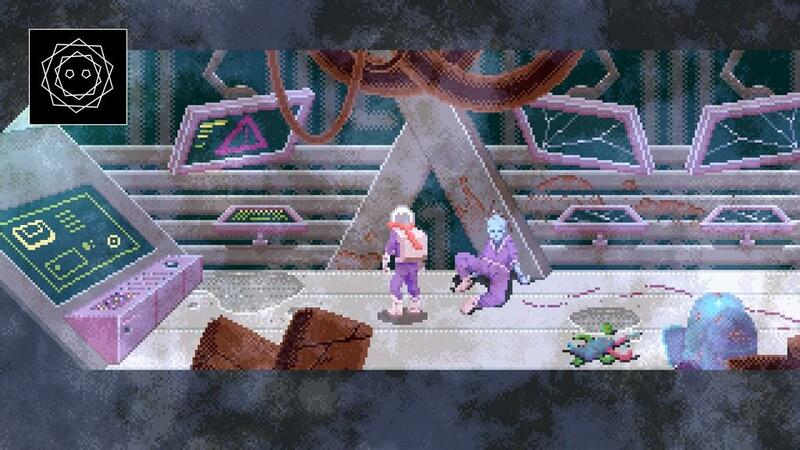 But I’ll leave that for you to experience, because it really is an interesting facet of the game. I’ve never gotten to know someone by trying to figure out how they died. That being said, though, Alone With You walks a line. It’s billed as a sci-fi romance game, but often it seems that the romance takes a backseat to the narrative. 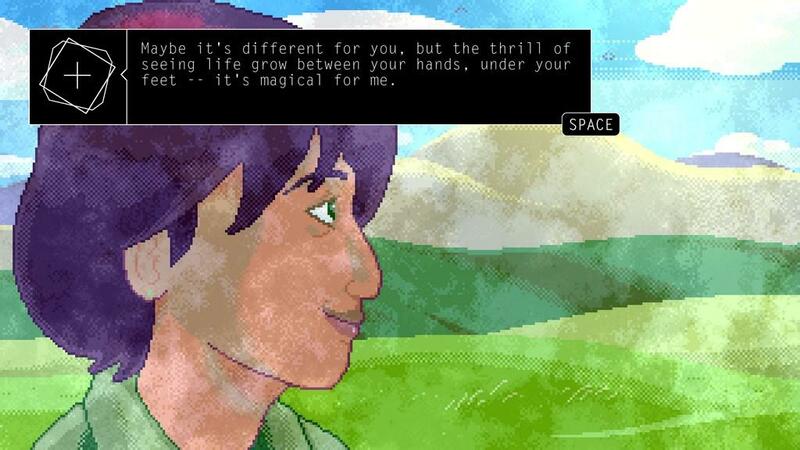 It feels like, in the effort of making romance optional, the developers went a little too light on romantic dialogue—which is totally fine if romance isn’t your cup of tea, but sometimes it seems kind of like a friendship simulator even when you’re trying to earn someone’s affection. I went into this expecting more emphasis on romance, and while the game itself was great, I found myself wondering if I’d missed something. My problem isn’t with the amount of romance itself; it’s just with the fact that the amount of romance the ads imply and the amount of romance the game actually has don’t quite match up. I do want to emphasize that subversion of expectations is very different from bad content, so if you go into Alone With You not expecting a huge amount of romance then you won’t encounter much of a problem. A game that threatens to end with cataclysm by all rights shouldn’t sound like a relaxing game, but trust me, it is. Aside from the fact that my emotions feel like they’ve been wrung out and hung from a clothesline, the experience of playing this isn’t stressful. There’s no timing, no pressure—just the stillness of exploring ruins and the quiet horror of discovering what happened to everyone who once lived there. It’s suspenseful, but not in the sense of a thriller. If you’re looking for something to get your blood pumping and spike your adrenaline, this isn’t the game for you, but if you’re looking to live a story that manipulates every single one of your emotions, then I suggest you check it out. 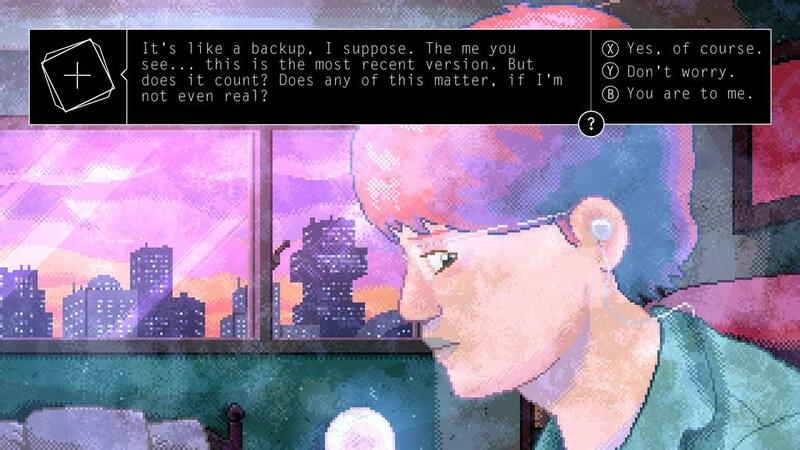 Alone With You is the perfect game for people who want to sit back and enjoy a story that provokes sadness, relief, foreboding, attraction, and everything in between. It’s not a thriller or a fighter. 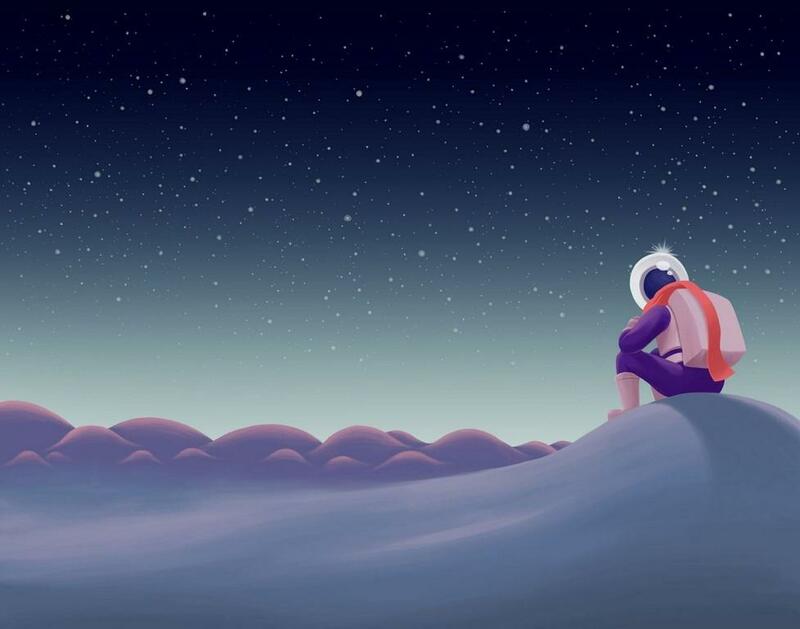 It takes the concept of loneliness and transforms it into an experience that isn’t nearly as boring as it might sound at first. It could be more interactive if it tried, but the strong and complex narrative helps compensate for that—and makes it worth the money.